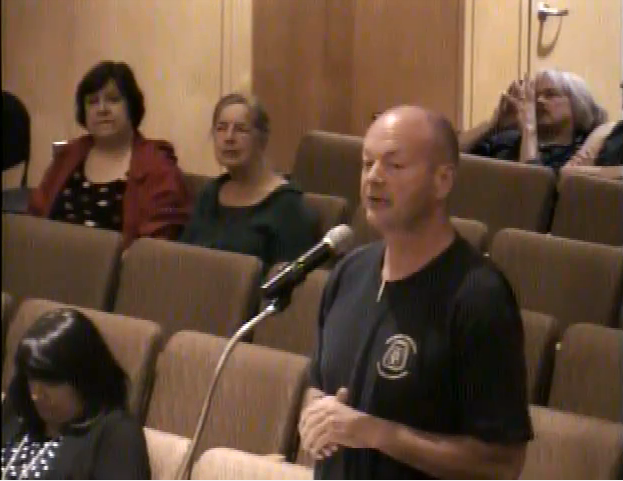 Princeton Council heard testimony at their September 9 meeting from Kevin Wilkes, the Chair of the Alexander Street / University Place Transit Task Force. He reported that the possibility of a heavy rail extension of the Dinky Line to take it up to Palmer Square is no longer being considered. Use of Personal Rapid Transit (PRT) technology has also been excluded from further discussion. However, several other transport modes remain under discussion. Study, evaluate and make recommendations on the appropriate flow of traffic and transportation in the Princeton area arising from the Princeton University Arts and Transit development to minimize negative impacts on the community of traffic arising from this and other ongoing developments around the central business district. Study, evaluate and make recommendations on the long-term transit needs of the Princeton community that may be impacted by the Arts and Transit Project, including evaluating the benefits of extending transit service from Princeton Junction rail station to Nassau Street, including light rail solutions. Mr Wilkes reported that traffic volume along Alexander Street and University Place is expected to double from 950 vehicle trips per hour in the peak evening rush to 2,000 trips per hour by 2027. For those of us familiar with the Route 1 Growth Strategy report, this will come as no surprise. Traffic in the Princeton area is expected to become crippling, largely as a result of low-density housing patterns that make transit uneconomic and inefficient. The task force hired consultants from AECOM, a company that has advised the Princetons on traffic for individual projects in the past. AECOM are building a town-wide traffic model, to evaluate different design scenarios, including one-way systems, street closings, street openings, and varying the number of lanes. Around Princeton, many people assume that improved transit is the answer to traffic congestion. Transport mode share statistics suggest that a significantly more efficient solution (and one that would be far less costly) would be to increase the supply of housing in walking distance to local workplaces. Nonetheless, the ASUP task force is focusing on transit solutions, and inasmuch as transit supports car-free living, that is an opportunity. To get guidance on transit, Mr Wilkes reported that the Transit Task Force has engaged a second firm of consultants: URS Corporation. 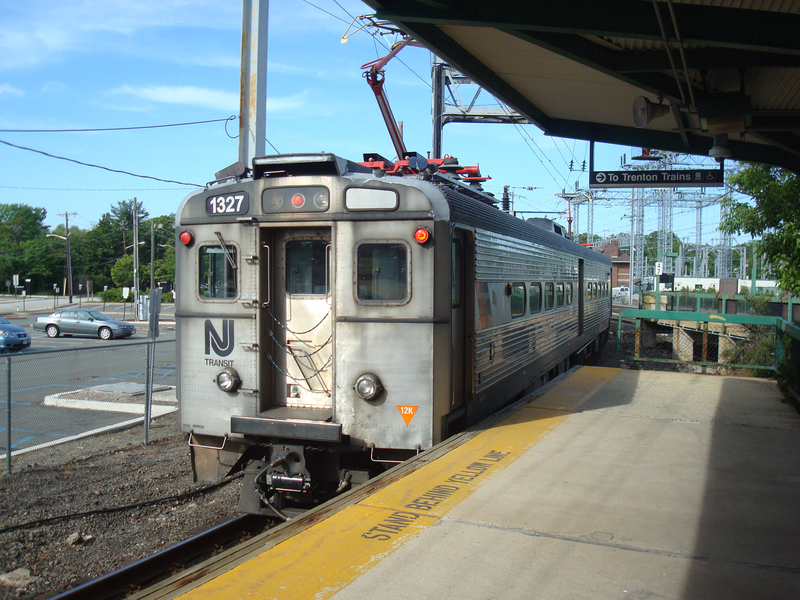 There is an opinion in the town (voiced for example in this article) that NJ Transit and Princeton University want to replace the Dinky train service with a bus. The ASUP Transit Task Force, however, are considering ‘all options’. From the get-go, they considered extending the existing heavy rail line to Nassau Street. They also considered bus systems, ‘Personal Rapid Transit’ systems and alternative rail technologies, specifically light rail and streetcars. The consultants were asked to evaluate each mode based on design criteria drawn up by the committee. Following this evaluation, the lowest-ranked options would be eliminated, to enable deeper consideration of the other possibilities. We don’t have the turning radius; we don’t have the ability to run the catenary lines up any street in town. We eliminated that as a possibility. 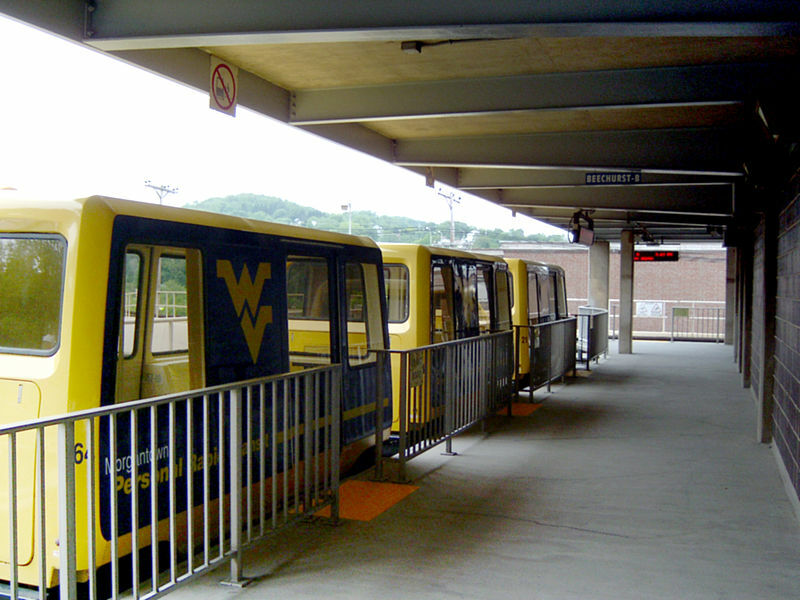 Wilkes noted that light rail and streetcar systems, while having different vehicle weights and maximum speeds, offer the possibility of using the existing Dinky railroad. A bus system could build on and add to the network currently offered by Princeton University’s ‘Tiger Transit‘ shuttle service and the town’s ‘FreeB‘ service. The committee’s work is estimated to be 40% complete. In the fall, the ASUS Transit Task Force will host two public meetings, one at a meeting of the Princeton Planning Board, and another on a Saturday morning, perhaps at the Princeton Public Library. The goal is to present what the consequences of pursuing a particular transit option would be, to inform a community discussion on what the best way forward would be. In response, Council member Jenny Crumiller questioned where the traffic estimates on Alexander Street had come from. Wilkes replied that it came from the consultants’ observations and estimates and that of the additional expected 1,500 trips, 470 will originate in West Windsor. Just 85 of the trips are predicted to be to University destinations. At least 180 trips will be cross-town traffic, which are therefore unlikely to be replaceable with a transit solution serving central Princeton. Council Member Crumiller also asked if the task force was talking to NJ Transit (they are). Lance Liverman raised the possibility of advances in transit technology, for example, the possibility of a vehicle that could ride on both rail and standard roads. Wilkes said that such a vehicle does exist, and the committee is considering as many options as possible and trying to stay abreast of current technological advances. Jo Butler asked why a bus possibility was still under discussion, after being rejected by the Princeton community in the past? Wilkes explained that the original proposal, which was proposed to the Planning Board three years ago, and involved running a bus alongside rail transport in the existing Dinky right-of-way, was not under consideration. Specifically, it would be too expensive in the current economy, never mind the opposition from certain groups in Princeton. Any bus alternative now would be something different, potentially using the existing street network, or with its own dedicated right-of-way. Under further questioning from Ms Butler, Wilkes revealed that the committee was considering new possibilities for car traffic, including re-opening Province Line Road and what Butler described as her ‘beloved’ West Drive; extending Herrontown Road; and opening a potential new link between Mercer Road and Stockton Street (Rt 206). However, he suspected that such options would be unlikely to be popular with the community, making the committee ‘gun-shy’ about making any strong recommendations– although that could change depending on community feedback in the fall. Jenny Crumiller also raised the question of the impact of self-driving cars. Apparently the ASUP Task Force has not considered this possibility, despite Crumiller’s characterization of this technology as ‘the way of the future’. Patrick Simon, one of the town’s representatives on the Task Force, stressed that the goal was to identify a solution that could be implemented imminently, which to some extent meant putting aside ‘blue-sky 30-year projections’. Anne Neumann, an Alexander Street resident, asked if the committee was considering the possibility of a ‘straight shot’ for transit from the current end of the Dinky line up University Place to Nassau Street. Wilkes replied that the committee is not considering such a possibility, and is working on the assumption that the proposed move of the Dinky station as anticipated by the Princeton University Arts and Transit project will go ahead. All ASUP task force meetings are open to the community. To hear the full testimony from Mr Wilkes, check out the embedded video from Princeton Community Television below. The relevant section starts at 24’06” and proceeds to 1hr 02’50”. If Princeton is to have transit from Princeton Junction to Palmer Square, what mode do YOU think it should take? Could a bus ever be satisfactory, What about a streetcar?Have your say in the comments below! This entry was posted in Alternative Transportation, Local, People, Princeton, Traffic, Transit and tagged Personal Rapid Transit, Princeton, Princeton Branch, Princeton Community Television, Princeton University. Bookmark the permalink. I still think the only thing that made a lick of economic or transportation-efficiency sense was the original proposal the town made years ago, of converting the Dinky to a dedicated busway for a BRT system, running all the way up into the north of town. Watching that get shouted down at the initial meeting was such a facepalm. Barring that: I can’t imagine streetcars or trolleys being economically self sustaining, but if the town and University subsidized them, they’d have most of the same transportation benefits, and would satisfy the itch for the town having something iconic. Probably the best unions of Walkable Princeton and Save the Dinky interests. Buses are garbage. Pure trash. Don’t waste your money on them. Light rail would be highly effective, and much cheaper to operate. Here is a link to the JPods network, podcar or PRT network, we will be building in Secaucus. Princeton should be leading on innovative applications of physics to engineering. As a former consultant its trivial for so many reasons that this is even a issue. The lack of there intelligence in transportation amazes me. I don’t have the time to write a 5-10 page explanation stating why out of all the options this one is the best. however to sum it up, Light rail is your best option by replacing the existing Dinky heavy rail service and using its existing infrastructure hands down its the best option. Also given all the specifications of Princeton you would Not terminate it at Palmer it would be a nightmare make that just A stop and run light rail up to Princeton Shopping center. (via Nassau and Harrison st. ) where there is more than enough parking lot space that can be converted to an end line station stop while attracting a lot more riders. The city should pave over this boondoggle rail line with a bike/running path and multi-use trail. Two birds with one stone: (1) safe connection for pedestrians and cyclists to PJC; (2) eliminate pointless waste-of-money train that goes nowhere. With a path, one could walk in the time that one spends waiting for a transfer on this dumb thing.